Anyone who says the blues is dying probably ought to take a look at the stack of new blues releases we’ve managed to accumulate over the recent months, many of which we may never be able to even begin thinking about writing about. A former band leader, guitarist and singer for the great Junior Wells, Castiglia has long had a knack of combining soulful, often country-tinged, vocals reminiscent of Van Morrison and Jimmy Buffett with fiery blues guitar riffs and solos, not to mention the clever lyrics you’ll hear on such songs as “The Man” (“Oil man came from across the sea, spilling pain and misery/ One year later, without a word, five dollars a gallon and giving me the bird”), one of five songs on the album penned by Castiglia. In addition to the nine-minute, simmering, down-the-alley blues of Little Milton’s “Walk the Backstreets” (Sandy Jones) – which probably should come with some kind of warning that it could lead listeners to hit the replay button time and again, you’ll also want to be sure to check out “Sometimes You Win” with its quieter, Led Zeppelin-sounding guitar solo and Castiglia’s take on Paul Butterfield’s “Lovin Cup,” featuring some blistering guitar work from Castiglia as well as harmonica from Sandy Mack. Liz Mandeville is no newcomer to the blues, having already recorded four albums on Chicago’s Earwig Records. 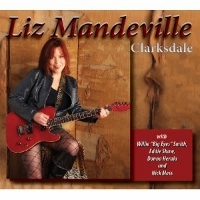 The first on her own Blue Kitty label, Mandeville’s latest album Clarksdale, however, serves as a remarkable new beginning for the Chicago singer and guitarist – one likely to receive a good deal of attention when the next round of Blues Music Awards nominees is announced. Dedicated to the late Willie “Big Eyes” Smith, who not only encouraged Mandeville to start her own label, but also played both drums and harmonica on several of the album’s best tracks – including the fun, swinging opener “Roadside Produce Stand” and instant classic “Walking & Talking with You,” which also adds some nice piano from Leandro Lopez-Varady to complement Mandeville’s smoky vocals and nifty guitar playing, Clarksdale offers a little bit of everything you could hope for in a blues album, from the acappella gospel-blues “No Fear/Everything” accompanied only by Mandeville’s snapping, to the boogeying “Sweet Potatoe Pie” featuring Howlin’ Wolf horn man Eddie Shaw on tenor sax, to the rocking “My Mama Wears Combat Boots” with Nick Moss on guitar and Mandeville playing washboard. With vocals that range from the sweet and tender tones of “Mama & Daddy Blues” and “A Soldiers Wife” to the powerful growl of “Clarksdale/Riverside Hotel Blues” with its piano and Robert Johnson-style guitar intro, Mandeville proves she can do it all, with many of the songs also serving as statements on such topics as the war on drugs (the solo acoustic “4:20 Blues”), relationships (“Bye Bye Blues”), and flooding (“Sand Baggin”). If it’s a little soul you’re seeking, there’s perhaps no one more dependable than Johnny Rawls, who follows up last year’s acclaimed Memphis Still Got Soul with another scorcher in the form of Soul Survivor. 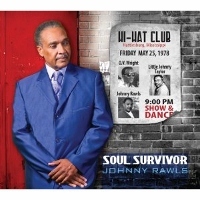 Produced by Rawls and bassist Bob Trenchard, Soul Survivor includes nine original tunes, all written or co-written by Rawls and/or Trenchard, as well as one from Rawls’ mentor O.V. Wright in “Eight Men, Four Women,” which makes particularly nice use of background singers Jessica and Jillian Ivey. When it comes to Rawls, there’s little need for much detail: everything here is soulful, from the catchy opening title track to the slow, swaying “Drowning” and swinging “King of Hearts,” one of many songs further buoyed by some fine horns, keyboards, and background vocals. A bit smoother and more tempered in his vocal delivery than say a Curtis Salgado, Rawls is at his very best on songs like the funky “Bad Little Girl” and more uptempo “Hand Me Downs,” also contributing musically on the instrumental “J.R.’s Groove” and the country-tinged closer “Yes,” on which Rawls provides bass and guitar tracks, respectively. 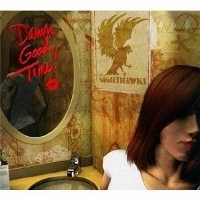 Where The Nighthawks go, a good time is almost sure to follow. So when the band stepped into its new record label’s state-of-the-art shiny new studio in Annapolis last fall, fresh off its Acoustic Album of the Year win (Last Train to Bluesville) at last year’s Blues Music Awards, you could pretty much bet that the finished product would be something special. Indeed, in both title and content, it’s a Damn Good Time! His first recording with the band since joining two years ago, Stutso’s contributions to the project are many: in addition to singing and/or having written a number of the songs, his drumwork is a nice complement to the consistently strong instrumentation of bandleader Mark Wenner’s harmonica, Paul Bell’s guitar, and Castle’s bass, with other particularly notable numbers here including the band’s takes on Charles Calhoun’s classic “Smack Dab in the Middle” (previously recorded on their 1990 Hot Spot album) and Wilbert Harrison’s “Let’s Work Together,” also a great one to hear these guys do live. 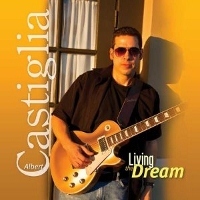 This entry was posted in Albums and tagged Albert Castiglia, Johnny Rawls, Liz Mandeville, The Nighthawks. Bookmark the permalink.